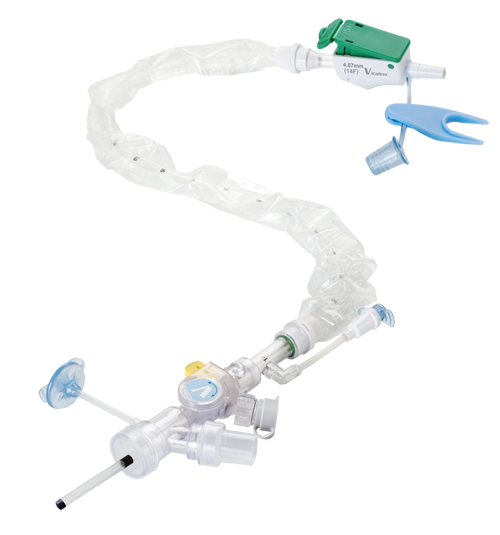 Closed suction system helps patient to clear secretion while breathing, and reduce risk of oxygen desaturation. The soft sleeve completely isolates suction catheter from direct contact to caregivers, avoiding contamination and cross infection. 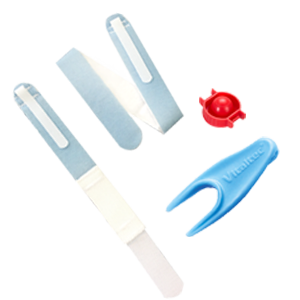 Vital-Cath™ closed suction systems has pediatric and adult series and two length optins for attaching to endotracheal tubes (54 cm) or tracheostormy tubes (30.5 cm). There is 72 hour usage applied for adult series depending on patient requirements, featuring additional unique isolation valve device. Our product provides better safety and friendly experience to users and patients. Its isolation valve can 100% seal the irrigation chamber, allowing better cleaning results. The suction control switch employs ergonomic design allows easier and quicker actions. The catheter comprises the smooth edge of tips and side holes to prevent trauma to patients. 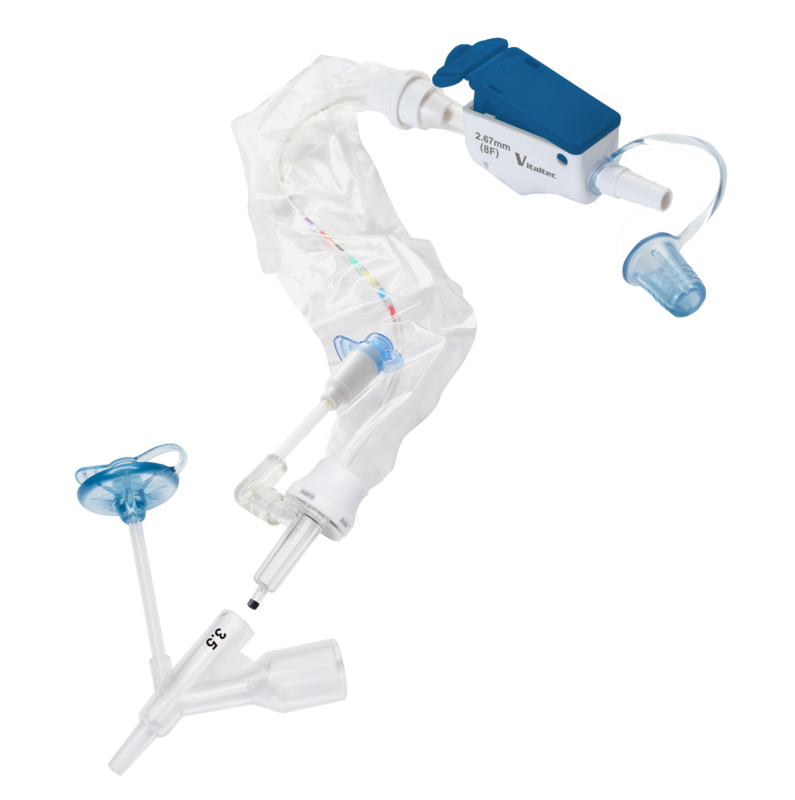 It features a compact dual-channel switching manifold to provide multi-functional access for suctioning and different airway procedures and an unique adapter of a replaceable suction catheter. 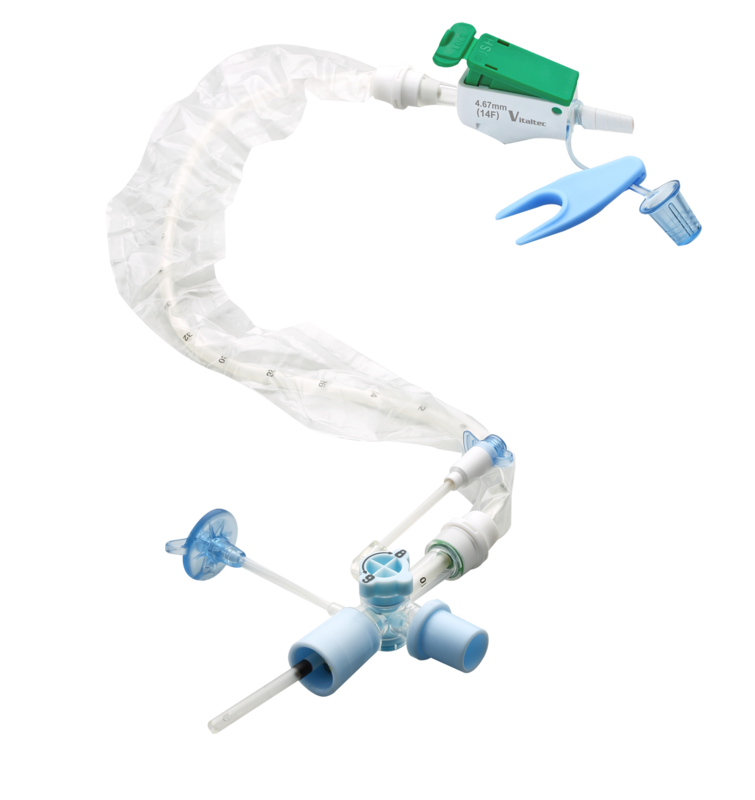 It is designed for high-frequency ventilation and easy endotracheal/ tracheostomy tube adapter interchange. Different from adult ranges, this series features lightweight and the Y-adapter with minimal dead space connector incorporated with MDI port.